Equipping Godly Women - A Bible-Based Website for Christian Women Who Want to Grow in Faith and Family. Join us! 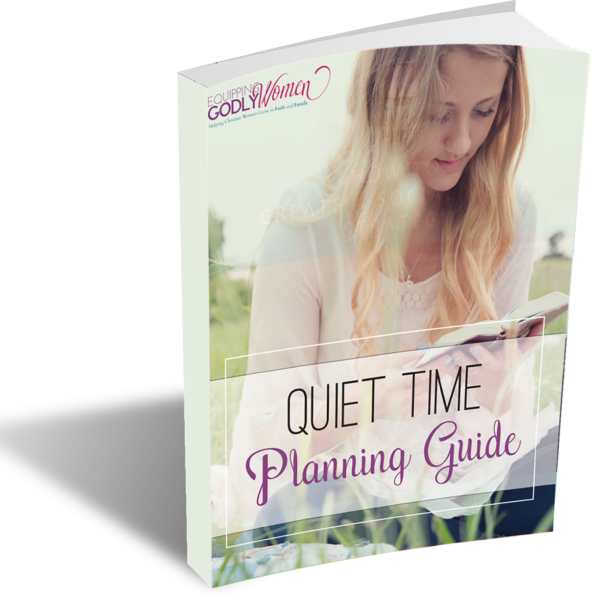 Struggling to Make Daily Quiet Times a Reality? What if you could change your quiet time habits for good? AND in less than five minutes? Determine what the ideal quiet time looks like for you -- including important questions like when, where and for how long? Stay focused during your quiet times -- so you aren't so distracted! Hold yourself accountable -- so you don't just say you're going to spend time with God -- you actually do! Experience real spiritual growth -- because that's the goal, right? And, best of all, it's completely free!